On the weekend of 5-6 March 2016, the SunExhbits Centre at Grand West Casino will play host to a motley collection of Nexus warriors, pro footballers, racing car extraordinaires, Hearthstone Heroes, battle-hardened soldiers, expert marksman…and maybe even that little yellow guy we all know so well: Pac-Man. Gaming4Chairity is a full weekend gaming event, with a line-up and variety to tempt even the most reclusive, bedroom-dwelling geek out of their beanbags as there is, quite literally, something for everyone. So, not only are you invited to spend an entire weekend doing what you love (gaming), but to be part of an event that has garnered support from fellow gamers, business owners, DJs, radio personalities and everyone in between. And even better: it’s for a good cause! Proceeds from Gaming4Chairty – as the name suggests – will go to the NPO in Cape Town, Heavenly Promise. They aim to establish a Care Centre in the Delft region that provides schoolchildren with food, as well as a Day Care facility that is friendly, safe and comforting. Heavenly Promise has extended their aims beyond those of children, hoping to found a Training and Skills Program for adults in the region, focusing on teaching and learning, helping people in the community build skills that can aid them in seeking employment. Aaaaaand…for those of you with a slightly more mercenary side to your soul, there’s an additional incentive: not only will there be giveaways over the weekend, but epic cash prizes are up for grabs if you prove victorious in your sphere of battle! Both Heroes of the Storm and Hearthstone require very little introduction. The characters are so familiar and have made such a huge impact on the gaming world, that they are like old friends. Heroes of the Storm is the fastest growing MOBA worldwide, allowing players to pitch classic Blizzard heroes against one another in a battle for map dominance and destruction of the enemy Core. The turn-based play of Hearthstone has a dedicated following of strategists who could put world class Chess Masters to shame with their passion and careful strategy. Enter the Nexus: R250.00 per weekend pass to the expo grants you access to the Tournament. Time: Registration opens at 10am. Games start at 12pm. When a player wins a game, the deck used by the winning player cannot be used for the remainder of the match. The losing player can keep the same deck used or switch to a different one of their choice. Strap in for 48 hours of screeching tyres and handbrake turns, as you watch two teams of four players take to the track in an intense, tag-team effort to dominate Project Cars on console, complete with next-gen extras. If you aren’t in the mood for cars or football or anything else on offer, no problem: there’s a lan happening all weekend where YOU decide what you want to play. Only 100 seats are available, so don’t miss out – book your spot ASAP! Bring your friends, bring your rig, bring your games…and bring the Red Bull; it’s going to be a marathon. DJ Ready D (practically a household name in South African hiphop) and the Dr1ft Squad take 10 lucky winners from pixels to reality when they attend the #CharityEnduro event, getting themselves a 10-man drift experience. Players will get a chance to face off against DJ Ready D and the Dr1ft Squad in a Grid Tournament! Now that you’ve had a chance to see and smell and touch a fully modded-out racing car, Grid (on console) will allow you to race them against the Jedi Masters of Drifting. South Africa has a massive CS fanbase, so of course it’s only natural that the epic FPS has a spot at the Gaming4Chairty weekend. Demonstrate your skills and challenge your friends at the CS:GO taking place over the weekend. The Tournament is an official ranked one, so stats and points are on the line! 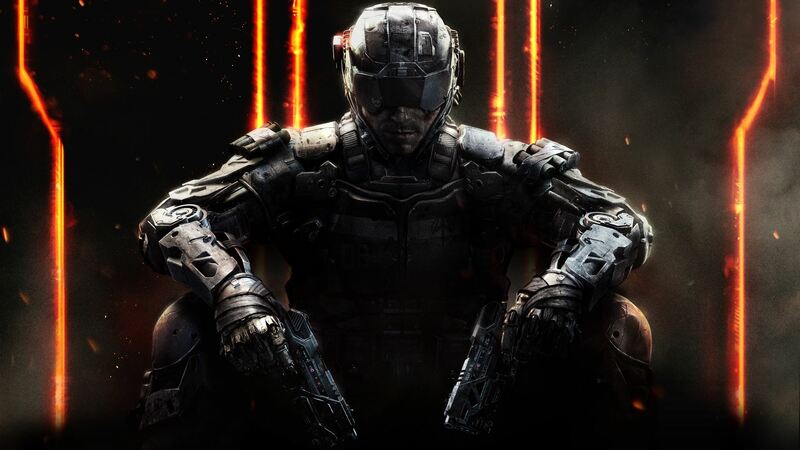 You’ve all been itching for another Black Ops 3 Tournament, so here it is. Sign up and demolish your enemies on PS4. Another option for the FPS fans out there is the legendary Halo, played on Xbox in a winner-takes-all Tournament, brought to you by ZombieGamer. Even if you didn’t play football in school, you’ve seen it on TV, and have definitely played it on console! FIFA players can come and show off their skills and challenge friends in the FIFA 16 Tournament. There will be 1v1 and 2v2 Tournaments. Thanks to our friends at Blackball Rentertainment, you can relive your childhood at G4C with pinball machines and foosball tables, and take your pick from a selection of retro arcade games. Not to leave PS4 behind, G4C will be showcasing this high-octane racing game on consoles over the weekend. A fully packed gaming weekend – what more could a gamer ask for?